Researchers have eliminated problematic pinholes in the top layer of next-generation solar cells in development. 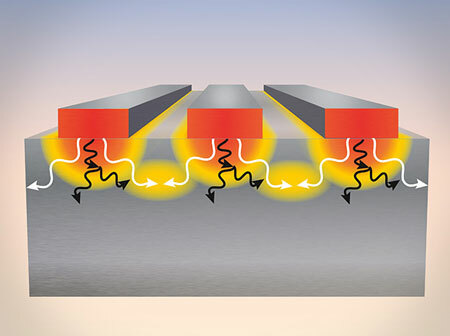 At the same time, they have significantly improved the lifetime of the solar cell and made it thinner. 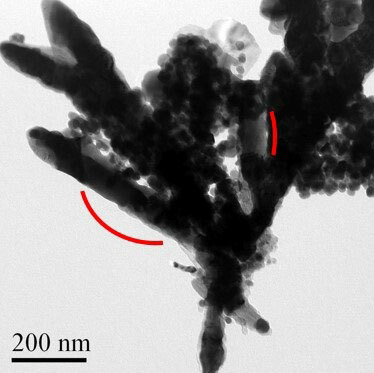 Scientists have synthesized a powerful new magnetic material that could reduce the dependence of the United States and other nations on rare earth elements produced by China. 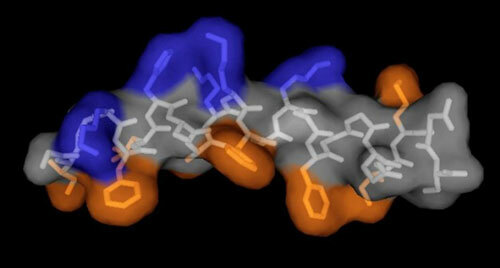 There is an urgent demand for new antimicrobial compounds that are effective against constantly emerging drug-resistant bacteria. 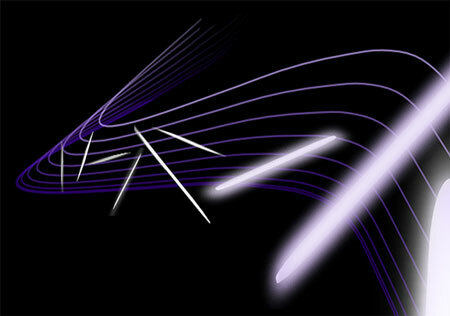 Two robotic chemical-synthesizing machines, named Symphony X and Overture, have joined the search. 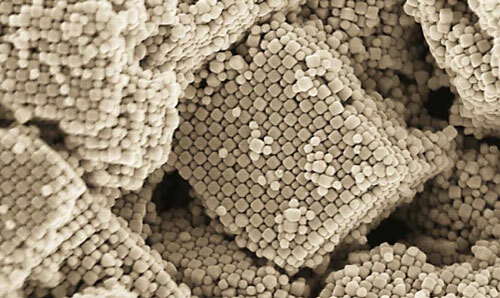 Their specialty is creating custom nanoscale structures that mimic nature's proven designs. 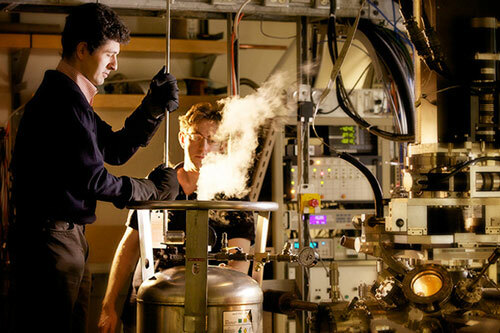 Physicists have painted an in-depth portrait of charge ordering - an electron self-organization regime in high-temperature superconductors that may be intrinsically intertwined with superconductivity itself. 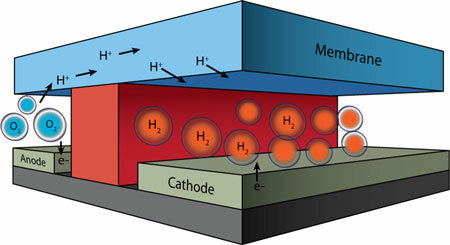 Tabletop setup provides more nuanced picture of heat production in microelectronics. 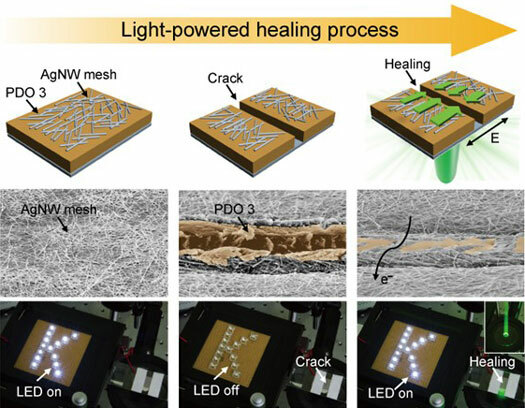 Light-powered delivery of silver nanowires by photofluidic movement can offer rapid, noninvasive, repetitive, and on-demand healing of electrical conductors. 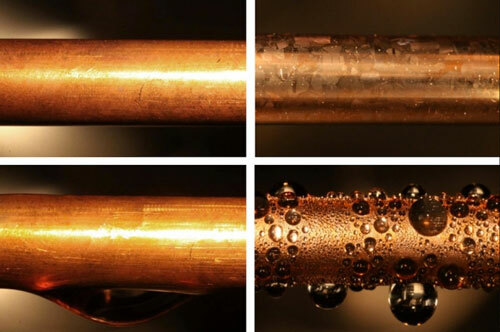 Researchers show how graphene oxide suspended in water biodegrades in a reaction catalysed by a human enzyme, with the effectiveness of the breakdown dependent on the colloidal stability of the suspension. The study should guide the development of graphene-based biomedical applications. 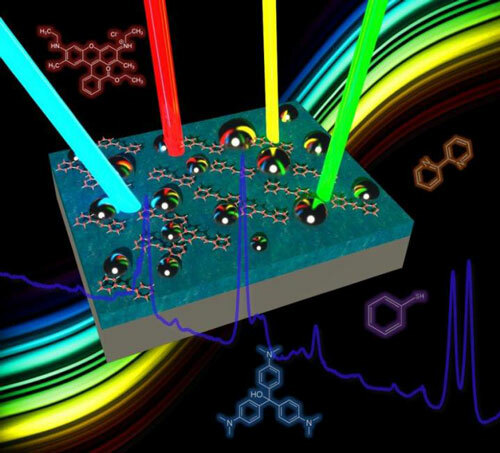 Imaging of cerium oxide nanocrystals provides new insights into the different behaviors of catalyst for emission control, other uses. 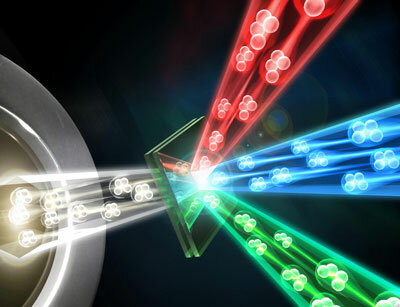 Tiny semiconducting crystals show promise for solar cell architectures and light-emitting devices.